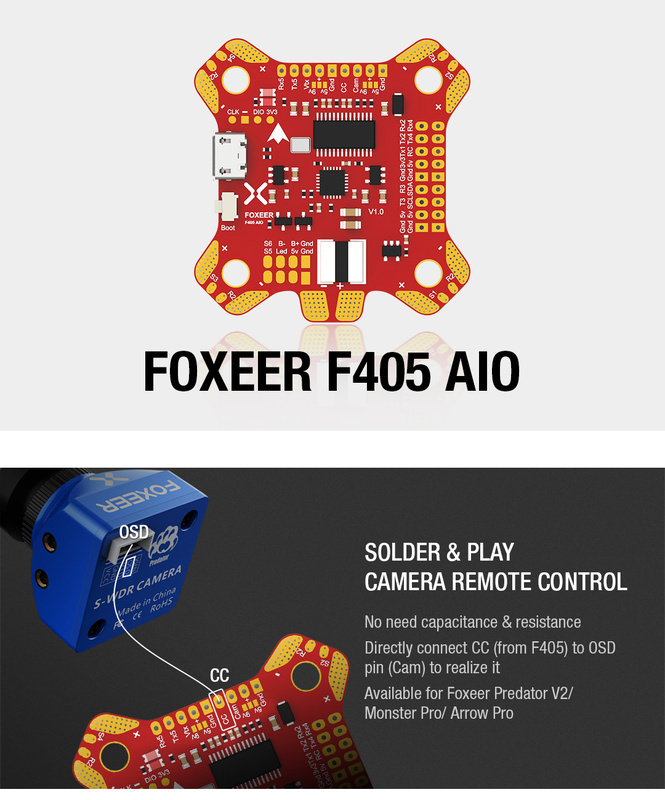 Foxeer F405 AIO FC. 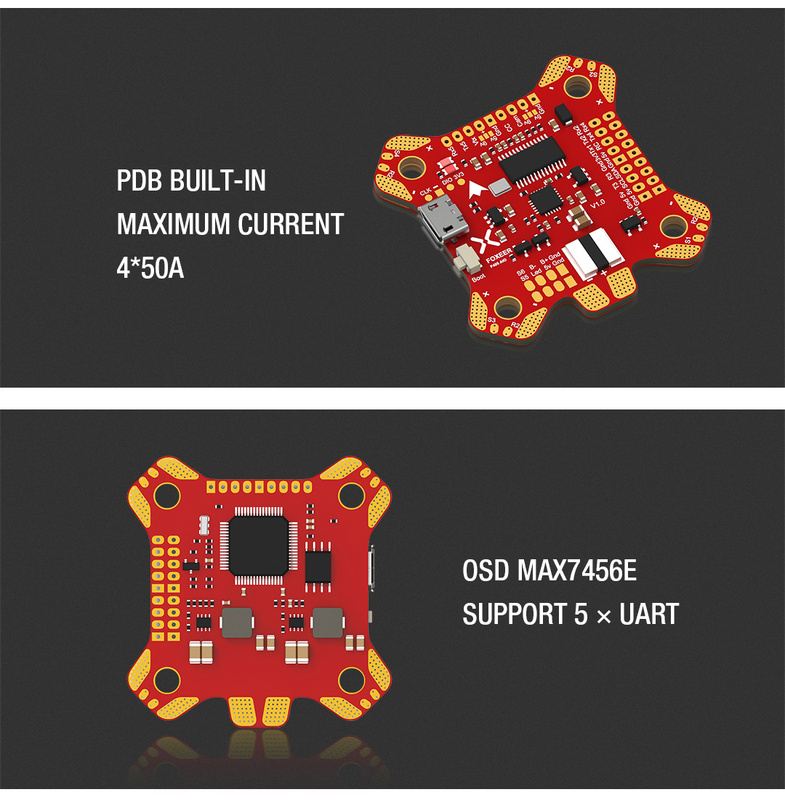 This controller has PDB, current sensor, 5V and 9V BEC, OSD, 4xUARTS, I2C. 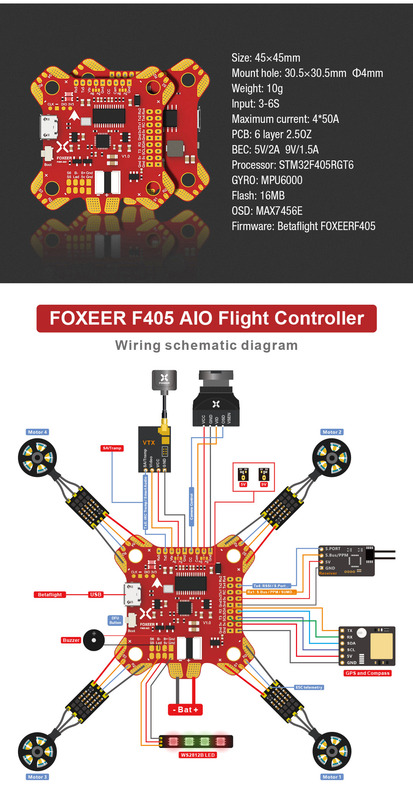 Board has 6 layers of copper and ESC pads support up to 50A. FC can be used with up to 6S batteries. 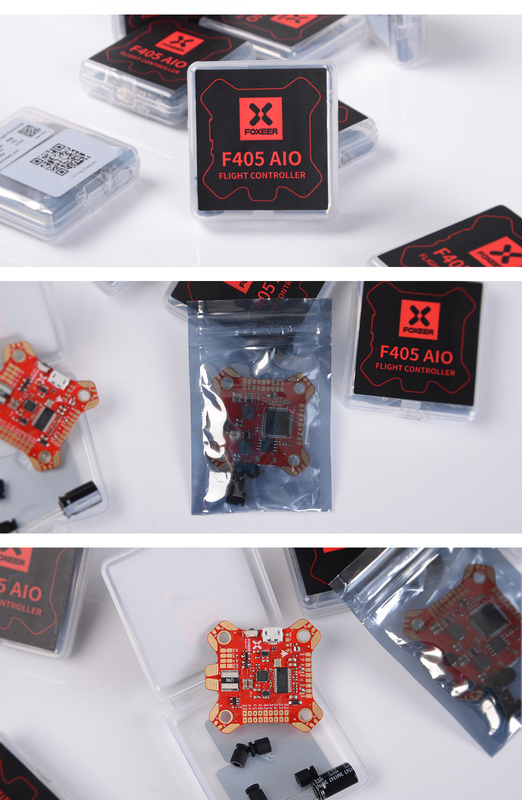 Each corner of the FC has also got telemetry tabs for telemetry capable ESC’s (BLHeli_32).